Nicole graduated from Norfolk Catholic High School in Norfolk, Neb. in 2008 and was named the Omaha World-Herald and Lincoln Journal Star Nebraska High School Female Athlete of the Year that same year. Nicole played volleyball, basketball and ran track throughout her four years in high school and started on the varsity team in volleyball and basketball from her very first game as a freshman. Nicole led her basketball team to a state championship title her senior year and runner-up title her junior year in 2007. Nicole won 7 gold medals at the state track meets during her high school career, competing all four years. Nicole was inducted into the Norfolk Catholic High School Hall of Fame in 2015. After graduating high school in 2008, Nicole went on to play four years of D-II volleyball at Wayne State College in Wayne, Neb. and joined the track team her junior and senior year. In 2011 and 2012, Nicole became a 4-time All-American in the 60m, Long jump, 100m, and 4x4 relay. Nicole is set to be inducted into the Wayne State Athletics Hall of Fame in the fall of 2018. Nicole joined the U.S. Women's Bobsled team on the North American Circuit in October, 2017. 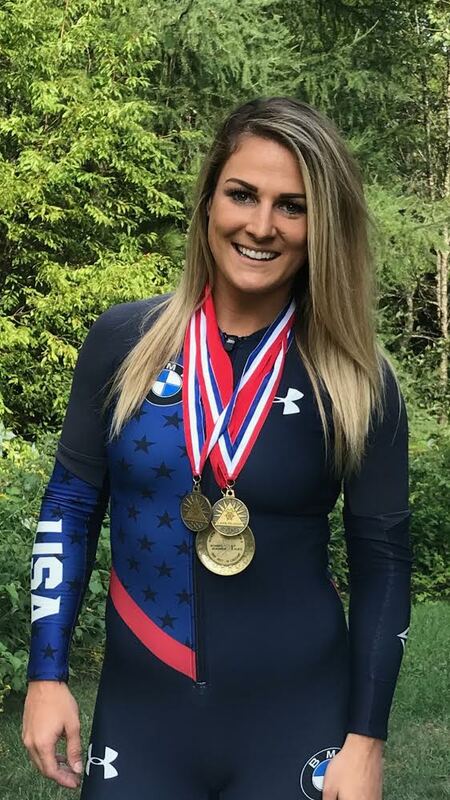 Nicole won three gold medals on the North American Circuit her rookie season, making her an up-and-coming star in the sport of bobsled.